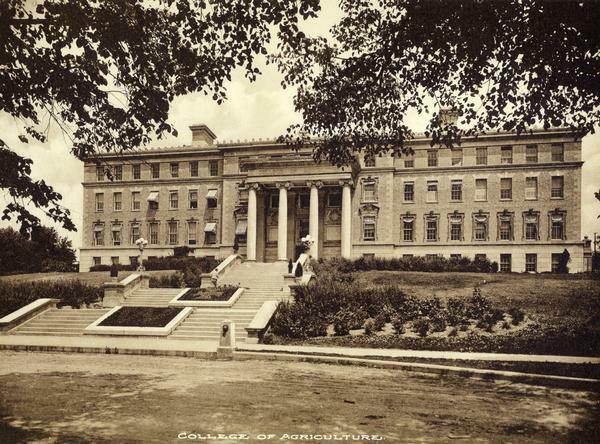 View of the exterior of the college of Agriculture, Agricultural Hall on the University of Wisconsin-Madison campus. Designed by architect John T.W. Jennings, the Beaux Arts classical building is on the National Register of Historic Places.